Don't delay! Build the ambulance to get to the accident scene as soon as possible! 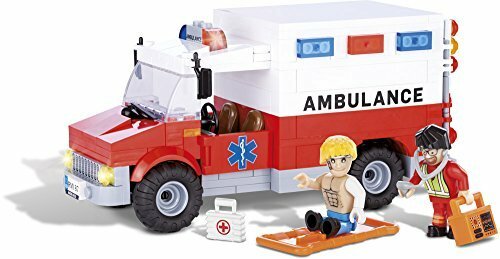 The set includes 200 pieces and 2 figures. 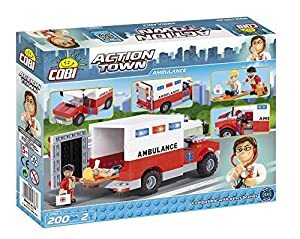 You have all the equipment needed including a first aid kit, stethoscope and stretchers to help the injured and transport them to the hospital safely. To make the transport easier, the ambulance has a rear and cabin door that can open for easy access. 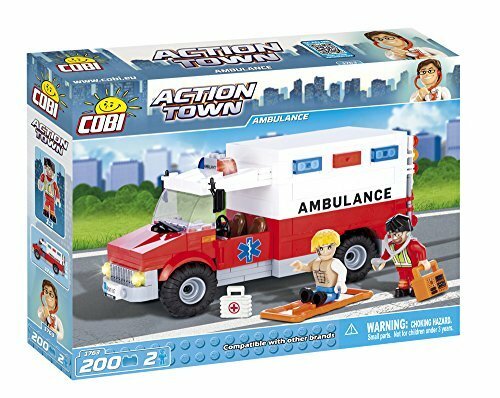 This item is a great addition to the extended COBI Action Town collection!.